If you haven’t previously liked the Facebook page, then click on the ‘Like’ button that is underneath the main picture. To ensure all posts reach you: Hover over the drop down arrow on the ‘Liked’ button and then click the ‘Get Notifications’ option, as shown in the image below. 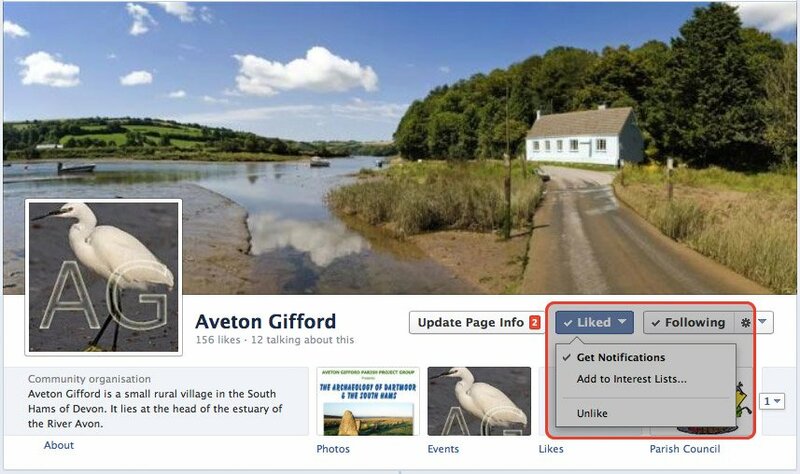 Following the above steps will make sure that all posts from the Aveton Gifford Facebook page are displayed in your feed so you’ll never miss an update!